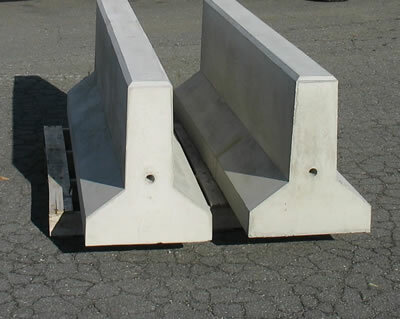 Our precast concrete mini Jersey Barriers are available in 2 ft, 4 ft, 6 ft, & 8 ft. lengths by 23.5 inches high, all with lifting loop pockets in tops. We also have the standard large barricades, 10 ft. X 33.5 inches high. Need a similar precast concrete barrier but this one doesn't quite meet your specifications? Whether your need be a Jersey Barrier, a Traffic Barricade, or some other concrete barrier, Conctact Us today and we will work with you to deliver the perfect solution. 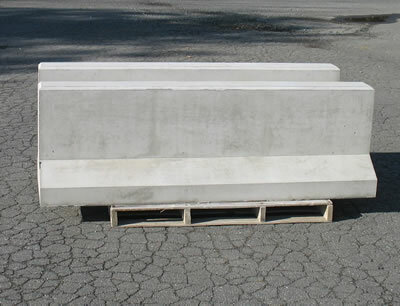 These concrete barriers are great mini Jersey barriers as well as perfect for low speed traffic barricades. They also make great concrete parking stops where the possibility of a car rolling over the curb is not an option. Copyright 2019 Diversified Precast LLC. All Rights Reserved.